Well despite a brief let up in the wind last night, it’s firmly back up to “blowing you off your feet if you’re not careful” level. Not quite sure what that equates to on the Beaufort scale, but am a bit concerned about my ferry trip tonight. Can we even sail in this? Given the wind the hike around Little Marlene is still out of the question so I’ve got a second lazy day to kill in Nuuk waiting for my ferry which departs at 21:00. Probably one day too many in all honesty, I have to check out of the seaman’s hotel by 10 and I kind of feel like I’ve done everything there is to do in town. 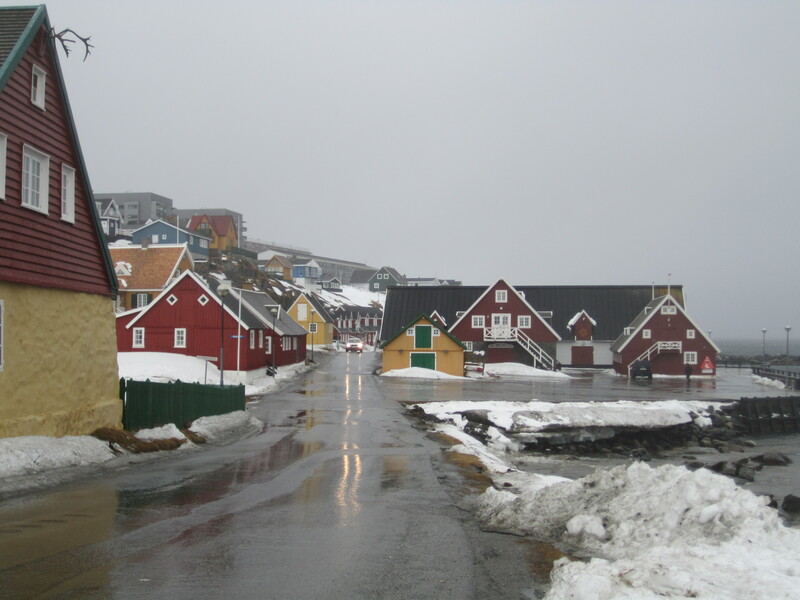 The high street in Nuuk is quite small but I had a look round what there was of the shops. There aren’t a great range of shops but if you’re want to buy an iPod or flat screen TV you’re in luck as there are at least three gadget/technology shops. For lunch I headed over to Nuussuaq, which is a suburb twenty minutes walk east of town centre. On the walk there I go past several more grim housing estates including one which has a completely burnt out flat. There’s a fair amount of graffiti, the usual tags and “Fook the police” written a couple of times. I get absolutely soaked walking over to Nuussuaq, find a reasonable cafe called Isikkivik where I just about dry out before heading back into town. All in all it’s quite a dull day killing time in Nuuk again, although I console myself that this does seem to be a feature of travel in the North, flight/ferry/bus timetables being what they are here. I remember once I had to wait two hours at a bus stop in Shetland in the pouring rain for one of the only services of the day, I guess you just have to settle into it and accept it. With so little to do I feel proud of myself that I managed to stay out of the pub (Takuss again) until 15:10, but the fact it didn’t open until 15:00 had a large part to do with this. Alcohol does seem to be very highly controlled here, you’re not allowed to take any booze whatsoever into the country with you, and once there you can’t buy it in the supermarket in the evenings or at weekends (exactly when you want it surely), and of course it’s very expensive. Spend a few hours having a couple of beers and watching the tennis, hoping the wind will die down before my ferry. No such luck though and as I walk to the ferry terminal I’m almost blown off my feet again. And so the adventure begins. 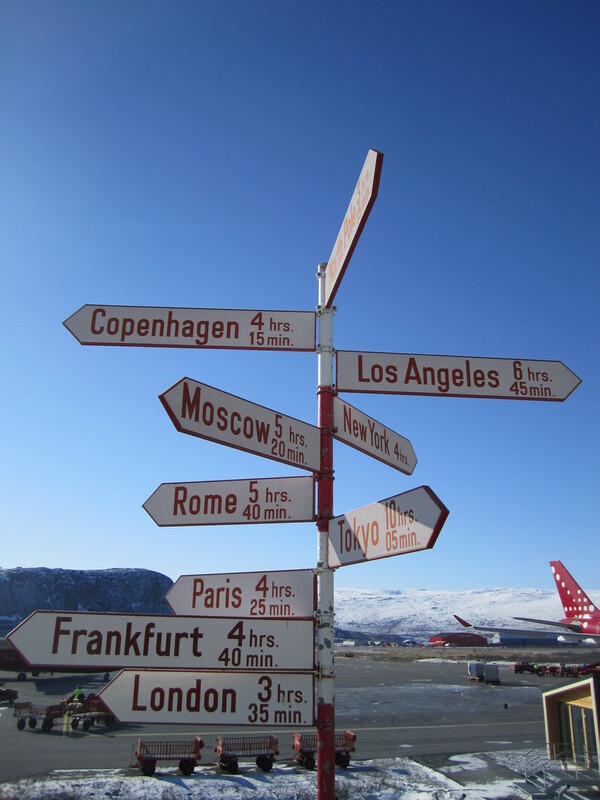 There are few airports in Greenland with runways long enough to accommodate flights from Denmark, so in order to fly to Nuuk (the capital of Greenland) I first have a four and a half hour flight to Kangerlussuaq. Immediately I realise why the flights to Greenland are so expensive, the plane must have only been about 20% full. 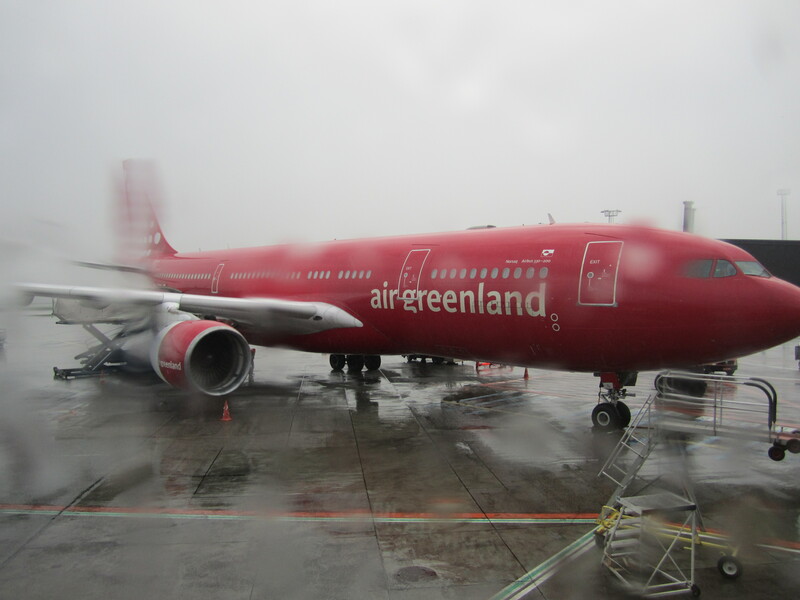 I quite liked Air Greenland but they are some way behind other long distance carriers, they still give you a set time when the film starts, and the choice of films was dire (three dreadful rom-coms and three kids films), but there was an hour long documentary about Greenland cuisine which was quite interesting (Musk Ox looks like a particular favourite). Unfortunately I couldn’t see much during the flight over Greenland itself due to cloud, but the arrival in Kangerlussuaq was pretty spectacular, snowy mountains and ice covered fjords as far as the eye could see. I had about 40 minutes in Kangerlussuaq before my connecting flight to Nuuk. 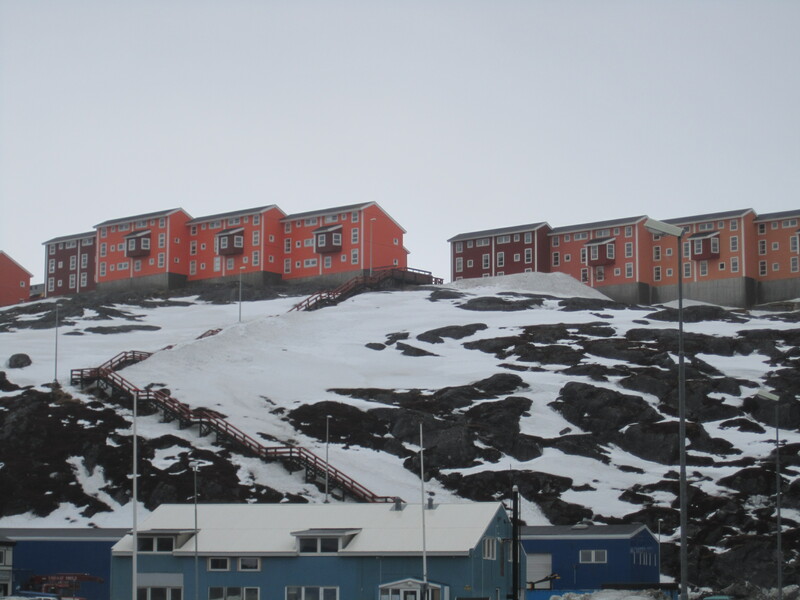 It’s basically an old American air force base, and as such is very “Un Greenlandic” town. There is a road up to the ice cap (which covers a massive 85% of Greenland) which I’d have done if I had more time, but given that I’ll see plenty of snow and ice on this trip I didn’t feel it worth spending a night here. And I’m pretty glad I didn’t, looking round it just feels like a bunch of service buildings for the airport. 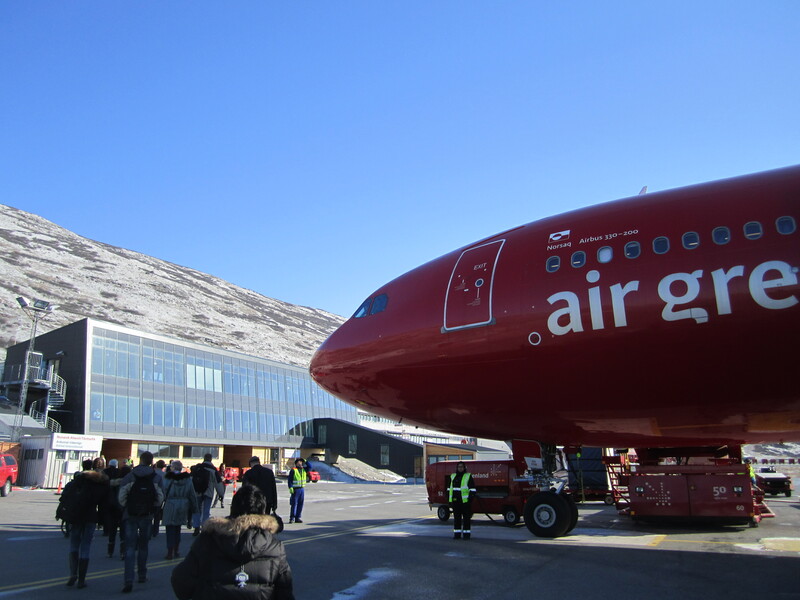 Boarding the flight to Nuuk was straightforward – there are no security checks on internal flights in Greenland which is refreshing. Should’ve taken a load of bottles of liquid on with me just for the hell of it. The flight to Nuuk was on an old DASH7 plane, felt like an old cargo plane of the ilk that frequently crashes into the Amazon rainforest in films. This coupled with the landing at Nuuk, which I’d read about on wikipedia “Heavy turbulence frequently occurs and could lead to a crash, with widespread loss of life and property” certainly added a bit of excitement to the journey. 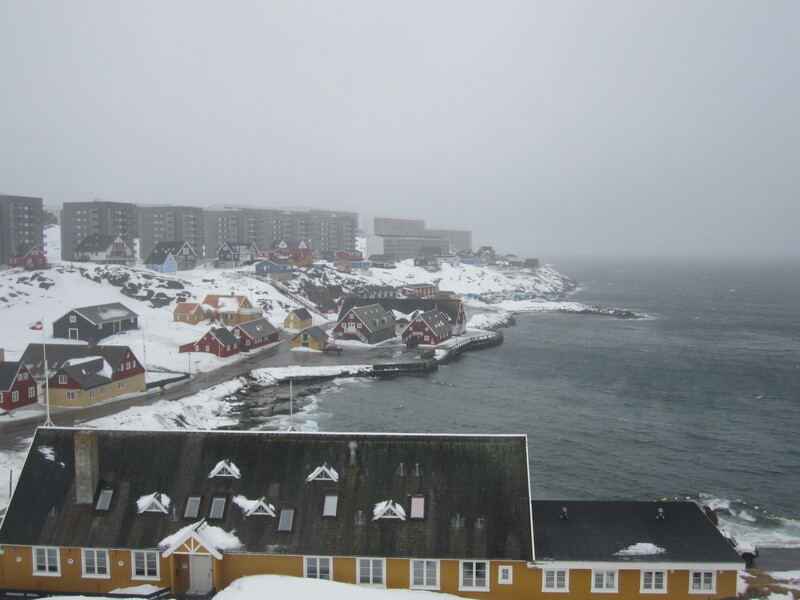 Once in Nuuk I took a taxi to the Seaman’s Hotel, which is basically a budget hotel in everything but price. Perfectly comfortable though I didn’t exactly expect the Ritz. 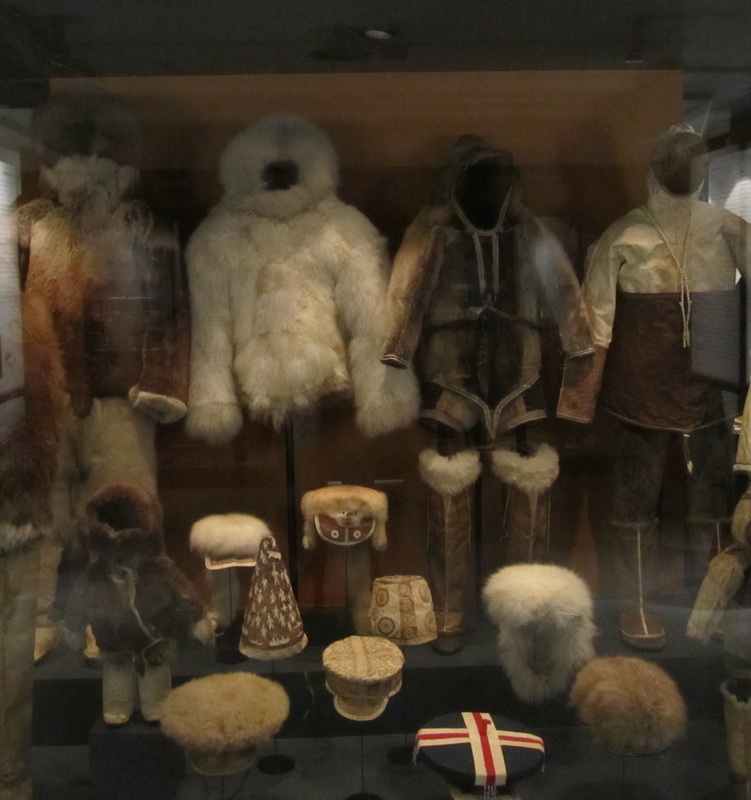 I spent the afternoon in the museum of Greenland which was absolutely fascinating. The artefacts themselves weren’t much to write home about, or indeed blog about, (old tools and utensils used by Greenlanders 100 years ago anyone? Or kayaks that are only 10 years old but built in a traditional style?) 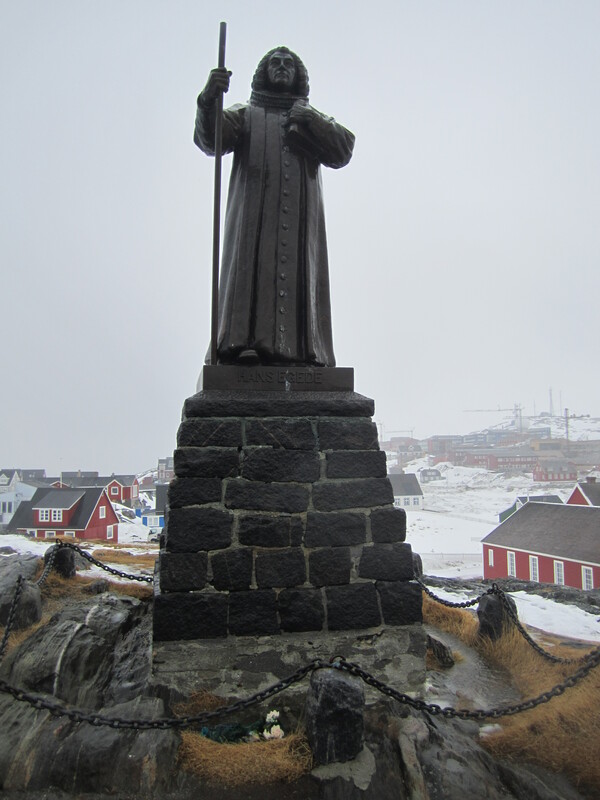 but the write ups about Greenlandic history were really interesting. The touchy subject of Danish colonism was only briefly touched on and I couldn’t help but feel it had something of a Danish bias. 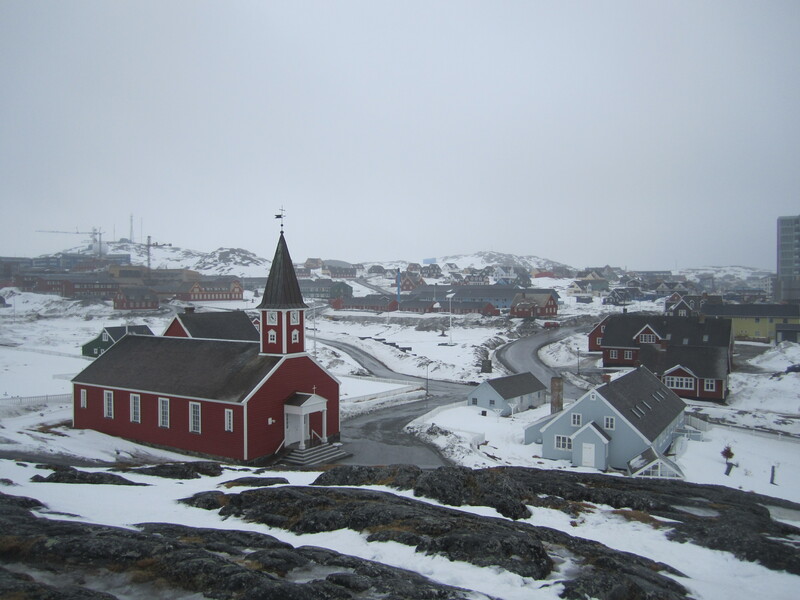 Basically in an effort to reduce costs of healthcare and education provision the Danish government relocated a lot of families from smaller villages into Nuuk in the 1960s, which has led to quite a few social problems. There’s an apparent sense of helplessness at being caught between traditional and Western cultures, and families used to being self sufficient are now reliant on benefits they didn’t want in the first place. 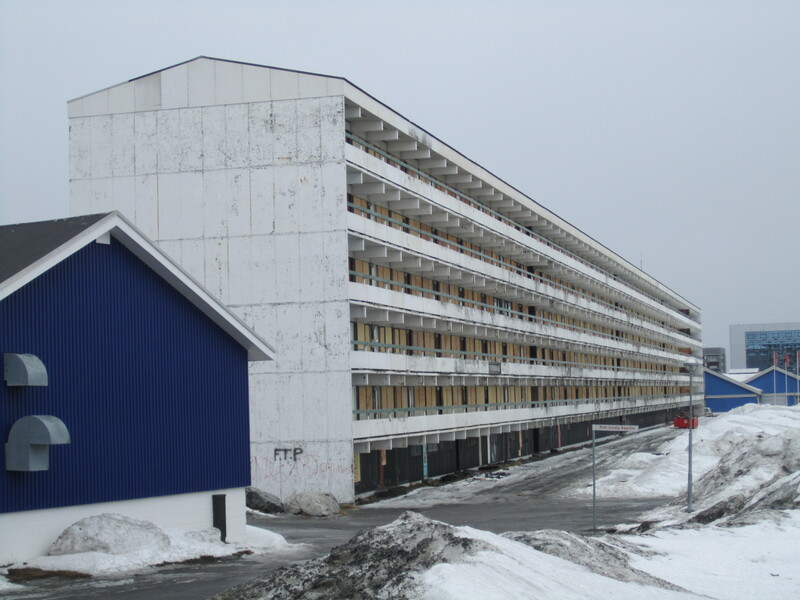 So although Greenland now enjoys the benefits of being a modern society it has come at a price. On the way to a museum a girl (maybe 12 years old?) said to me “What are you doing here?” in an accusative tone. 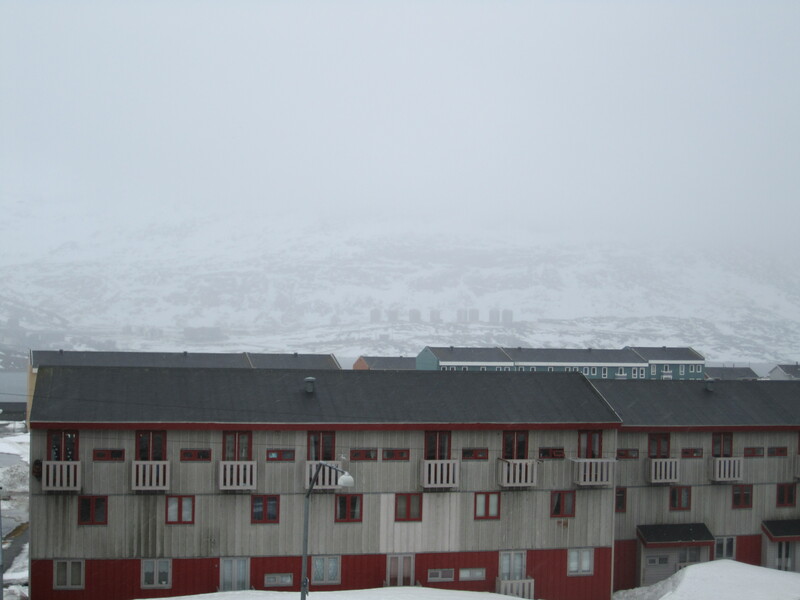 Was a bit eerie didn’t exactly make me feel welcome – but then whilst Nuuk does get a few tourists it’s not really a tourist destination in the same way the towns in the South or around Disko bay are. I seem to remember from reading Lawrence Millman’s Last Places (an excellent read which I’d highly recommend) that he got rocks thrown at him by some children so I guess as welcomes go I could have fared worse. 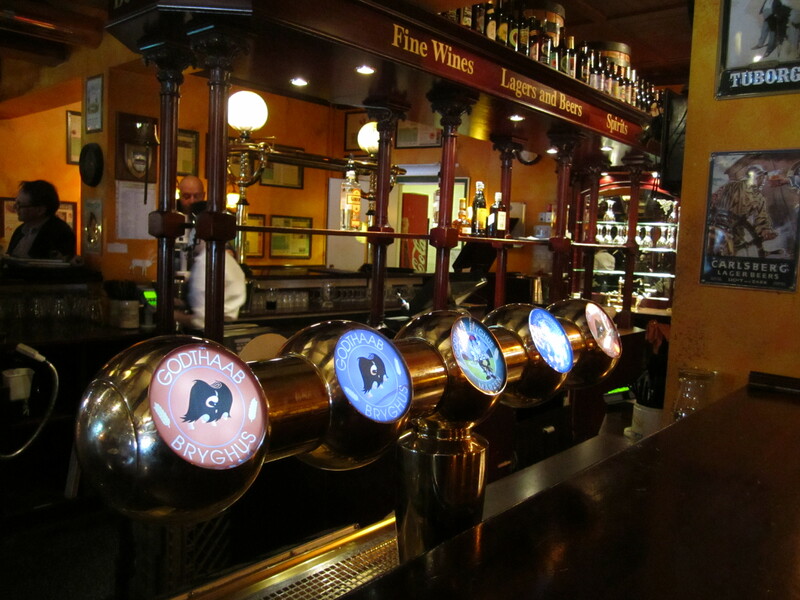 Afterwards I went for a beer in the Kristinemut bar, apparently the oldest pub in Greenland and again mentioned in Millman’s Last Places. 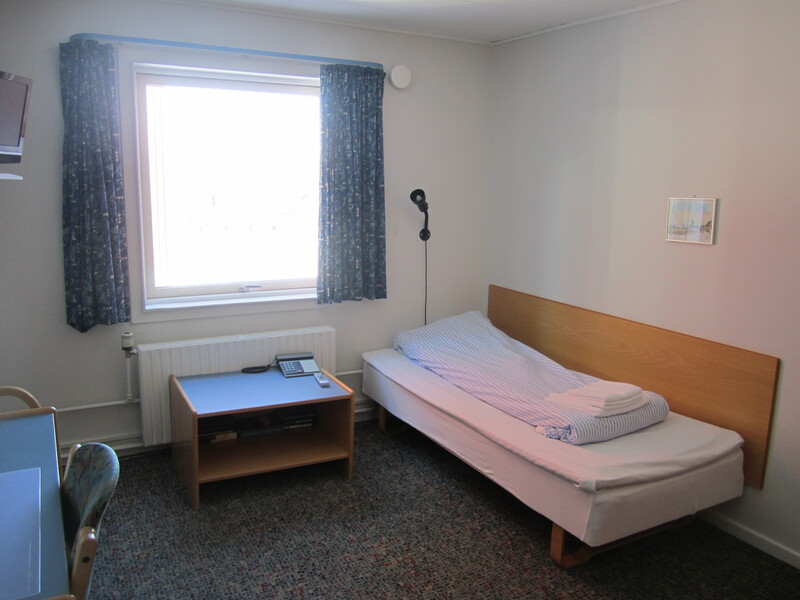 I’ve heard it can get quite rough, alcoholism is a big problem in Greenland and specifically in Nuuk. But I figured it couldn’t be any worse than a night out in Reading – and sure enough it was fine, although as I was there quite early it was fairly quiet and no doubt gets a bit more lively later on.